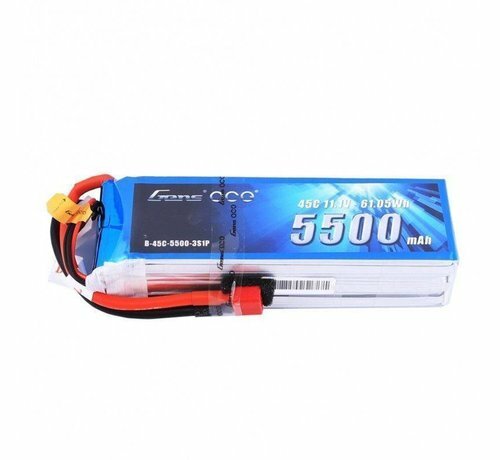 This Gens ace 5500mAh 3S Lipo Battery Pack comes pre-equipped with the industry standard Deans connector, no soldering required! 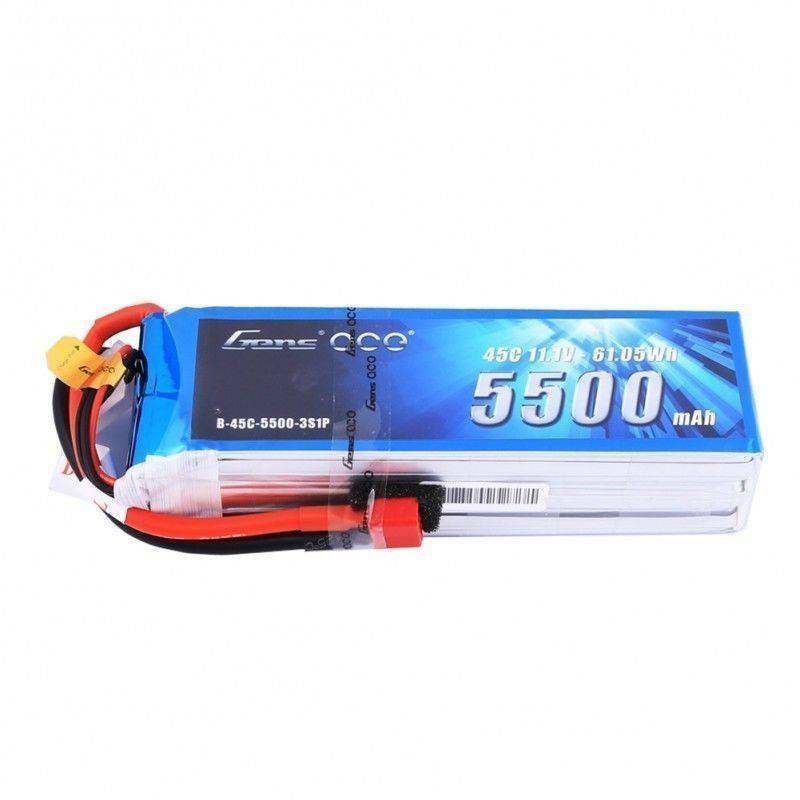 With a maximum discharge rate of 90C, this 3S 5000mAh lipo pack is ready to give you all the power you need, whatever your application. 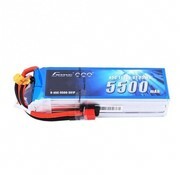 Gens Ace batteries deliver full capacity & discharge as well as being the best value batteries in the hobby market today! Trust Gens Ace for long LiFe and consistent durability run after run. 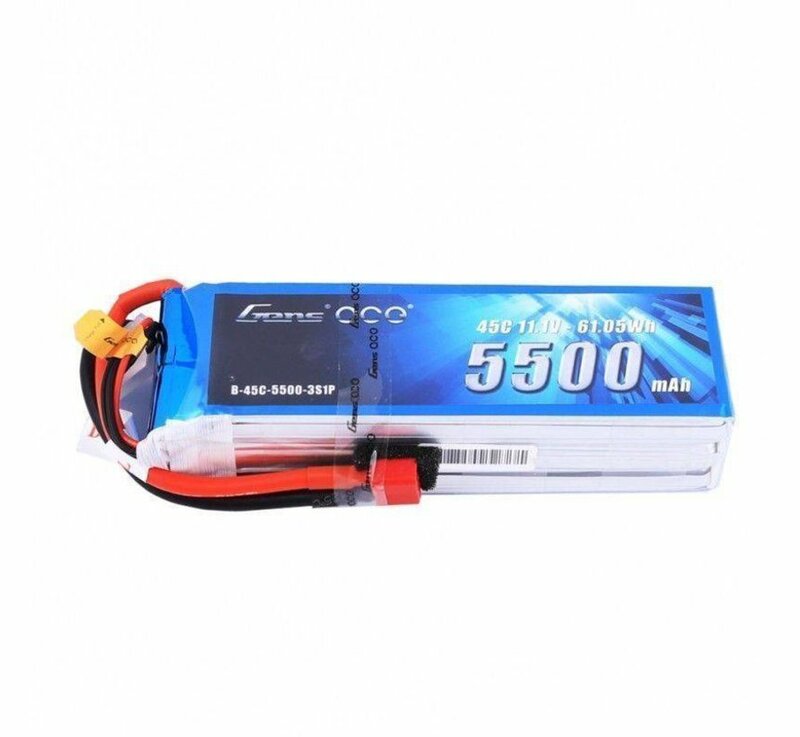 Gens ace 5500mAh 3S 11.1V 45C Lipo Battery Pack is compatible with MIKADO LOGO500, ALIGN T-REX550/600, GAUI X5, Outrage 550, Hirobo SDX, etc.